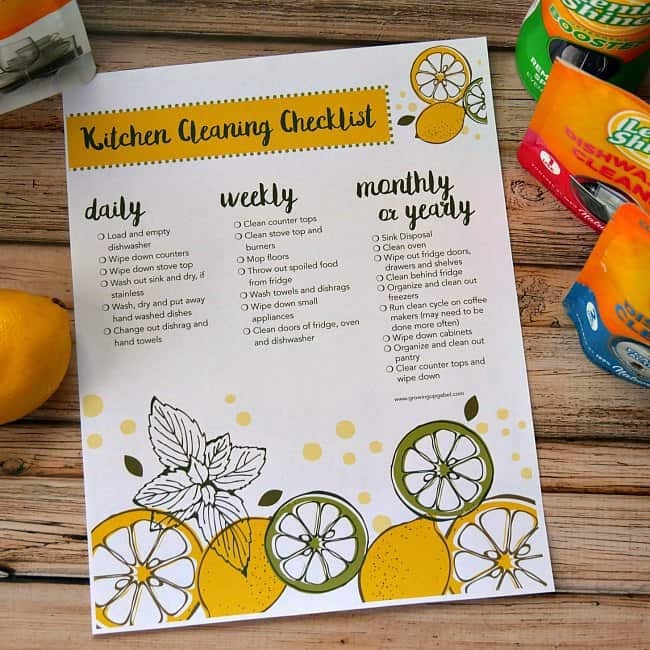 Keep the kitchen clean during the busy school year with our free kitchen cleaning checklist and products from our sponsor, Lemi Shine! After the lazy dog days of summer, I have the hardest time getting back in to the swing of the school year. I feel like we never have time to do any of our normal everyday things like picking up and cleaning the house. We are too busy running around to activities, doing homework, and just living our crazy life. 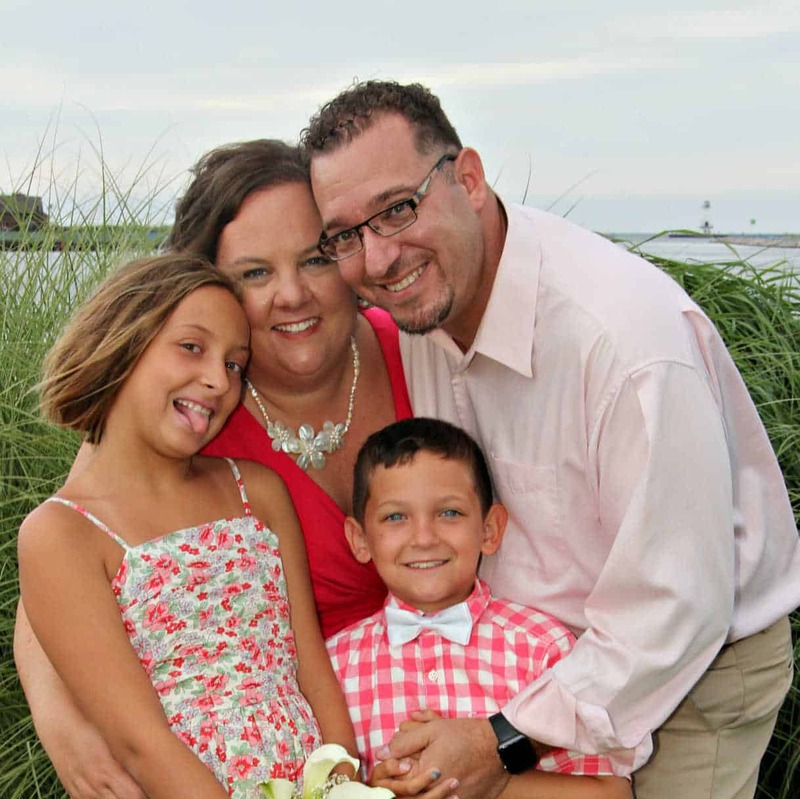 It can get really frustrating coming home to a messy, dirty house all the time. I know how to pick my battles when it comes to cleaning. I need the living spaces picked up and shoes put away so we aren't tripping coming in and out of the house. The two areas of the house that I'm picky about keeping uber clean are the bathrooms and the kitchen. Growing up, it was my job to keep the kitchen clean. To this day, I can't stand a dirty or messy kitchen. Dishes must be put away, counters wiped down and the floor swept. I don't have time to deep clean every day, but I can keep it tidy. 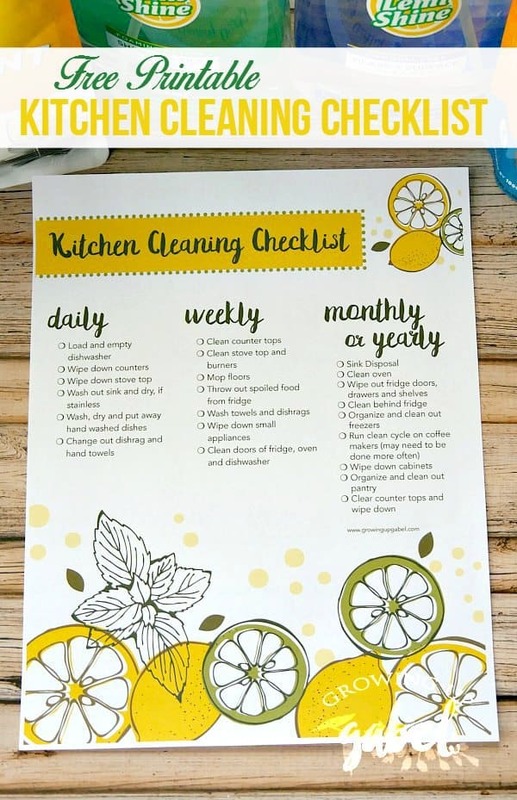 I have broken down kitchen cleaning in to daily, weekly, and monthly or yearly chores. Wash out sink and dry, if stainless – if you dry a stainless sink after washing it out, the water spots disappear and the sink sparkles! 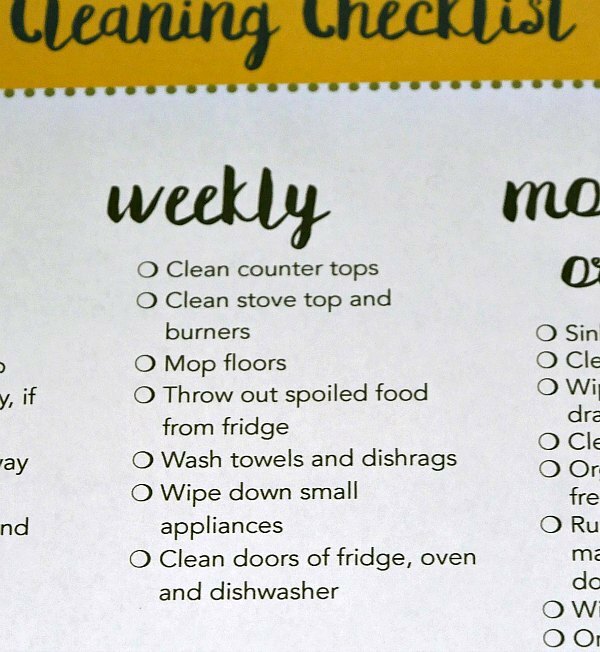 The kids help with a lot of these daily chores. It takes a bit of training, but once they get the hang of it, it makes life a lot easier. Throw out food from fridge – Do this the night before trash day! 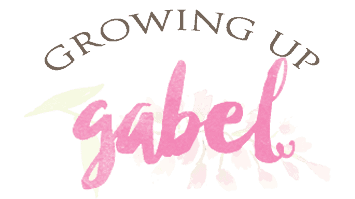 So what to use to get your kitchen sparkling clean? 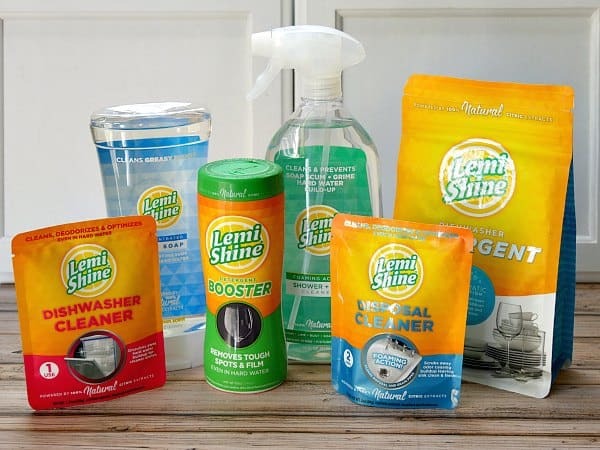 Check out the cleaning products from Lemi Shine! I first used Lemi Shine about five years ago when the dishes in our dishwasher were coming out with a white film. At the time, our dishwasher was only a few years old. I was pretty sure we needed a new dishwasher. 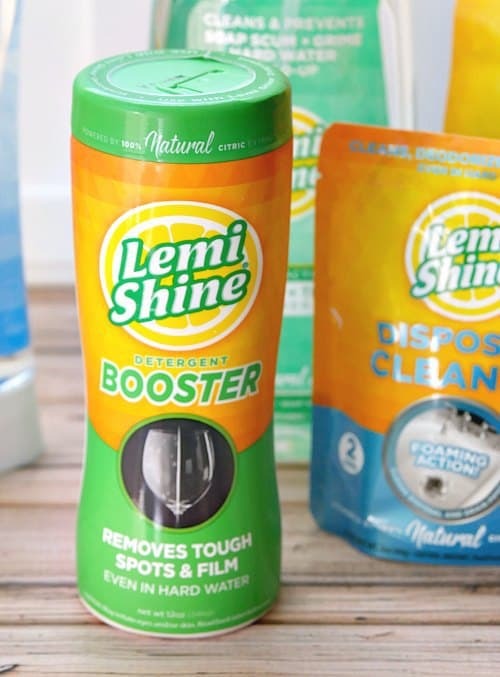 Then a friend suggested I use Lemi Shine Detergent Booster in the dishwasher. It worked! We have been loyal Lemi Shine users ever since. The Lemi Shine gets our dishes sparkling clean every wash. 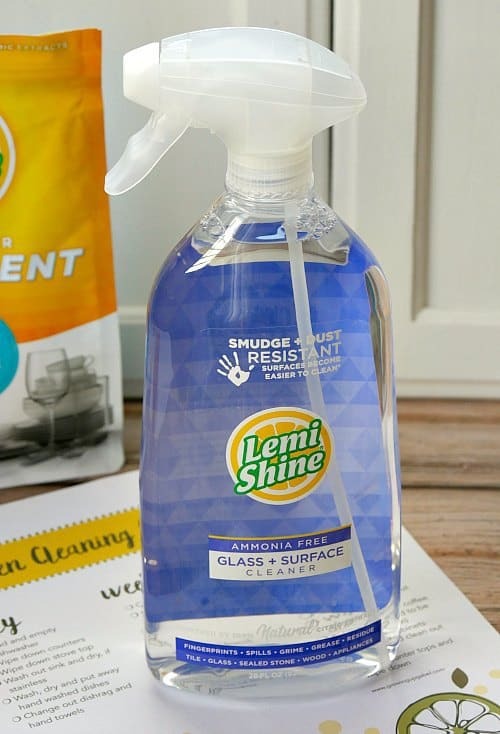 I was happily surprised to learn that Lemi Shine now offers a wide range of cleaning products I can use not only in the kitchen, but also in other parts of my home. 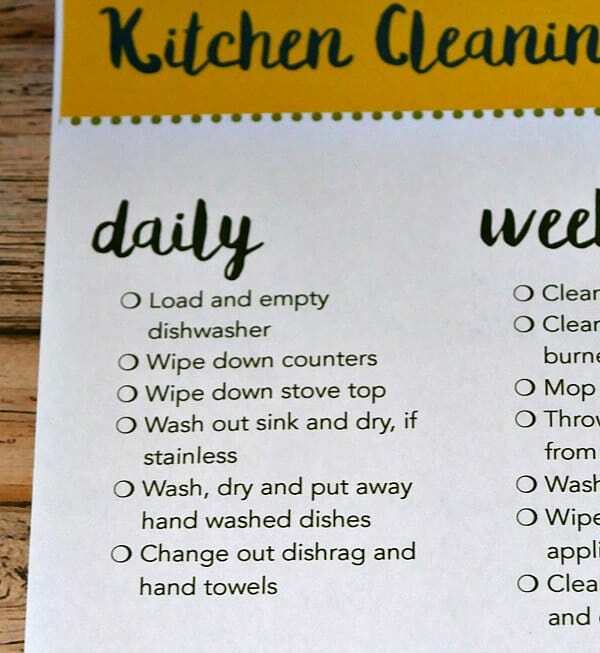 You can use the Dish Soap, Detergent Booster, and Dishwasher Soap daily. Lemi Shine Glass + Surface Cleaner is perfect for keeping surfaces wiped down for daily, weekly or monthly chores. 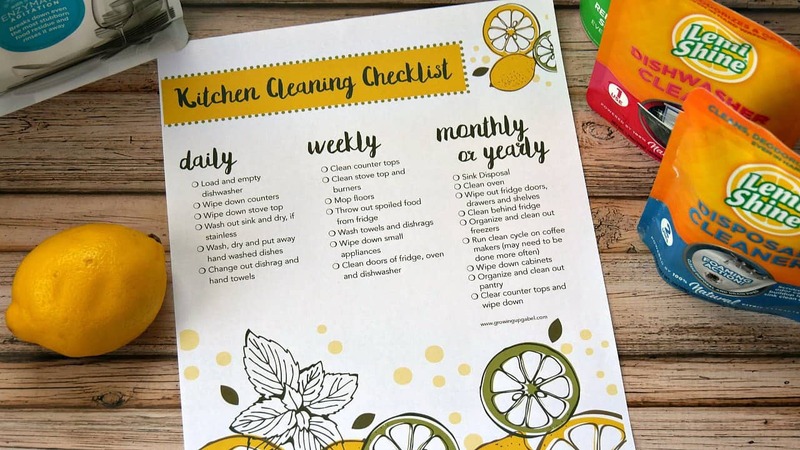 Make sure to download and print off our kitchen cleaning checklist to get your kitchen clean and sparkling! Then head over to Lemi Shine's website to print off coupons before heading to the store! 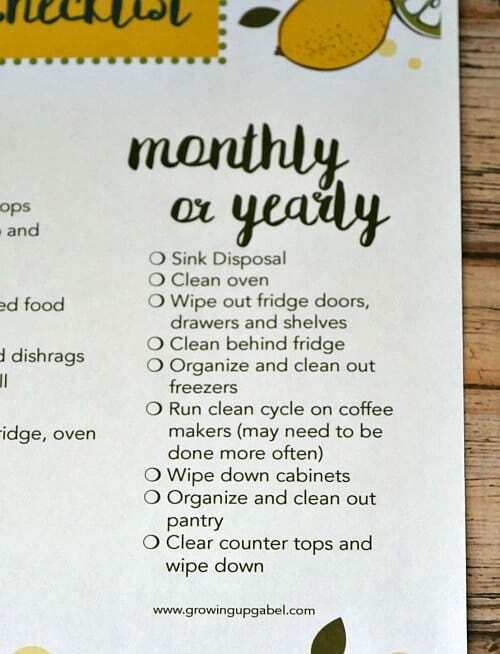 That’s really beautiful kitchen cleaning checklist. Thanks for sharing.